1.1.1 Bootstrap Template – What It is Actually? Kickass Benefits of Using Templatemonster’s Bootstrap Templates : Having a website, getting a proper hosting plan for it sounds great! But not until you have the best Template running on your website because agree or not Google always loves website loading fast and user-friendly. 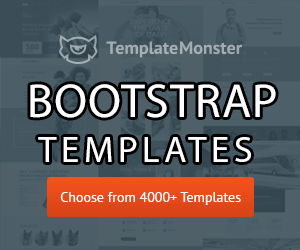 Today in this article I will bring you out from the oceans of confusion and suggest you some kickass benefits of using Template Monster’s Bootstrap Templates. No doubt, Templatemonster was one of the top 10 template providers in the industry, but if you want the best out from them, then I would surely suggest you Bootstrap Website Templates of theirs. But wait, don’t just simply go all because I suggest you. Grab a small tea, hold on and spend 2-5minutes reading this article and then decide yourself if it’s best for you. Bootstrap Template – What It is Actually? Bootstrap themes is a CSS and HTML5 framework, developed by Twitter. These themes were designed by keeping in mind of making it user-friendly both regarding smoothness and customization. Keeping in mind of various needs of clients these collections of themes has been specially designed to fit most all kind of projects. One of the key point what makes it better than other is its responsive design, as because bootstrap themes are compatible with any present-day gadgets, like smartphones or any others such things. The theme adjusts the website using it according to the size and resolution of the gadgets to make it much better to use. Kickass Features Of Bootstrap Website Templates. Bootstrap themes are built with CSS, and HTML5 framework as said before. One of the key features of this theme is that it is quite responsive and that’s what most users look for or say all user. The theme adjusts itself with the gadgets it is opened into by measuring it’s size, resolution and all things required. No doubt the themes are responsive, but besides that, they are fast, smooth and SEO friendly too. As if a theme is fast, responsive and smooth it automatically becomes SEO friendly for search engines. 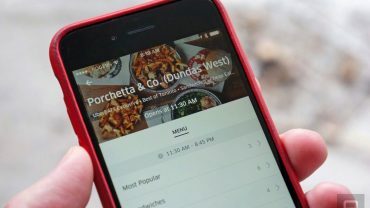 The layouts are cross-browser compatible as well; this is why so software still now can prevent your audience from viewing your website or blog. Yea, finally this is what performs likes the final item for your dinner to make it perfect. Right? Because even if a theme or any other thing is perfect from all angles, still you shouldn’t rely on them if they don’t provide you the support that you deserves. But Bootstrap provides you 24/7 technical support to let all your problems get solved. Templatemonster has highly educated and skilled technical support team to help you across any issue you face, all you need is to pitch them up with your problem, and they will get back to you instantly. So, after going through this am pretty sure that you are capable enough to decide why I was insisting you for so long to go with Bootstrap themes. Hope you liked this article and can solve all your confusing. Still, in a case of any quires do leave a comment below. Thank You.